This semi reflective black designer vessel sink is designed with minimalism and elegance in mind. Circular in shape with a slightly inward slope while reaching upwards from a larger circular base, the masterful black finish and silver rim provide for a modern design that is simple yet exhibits a precise and detailed workmanship. 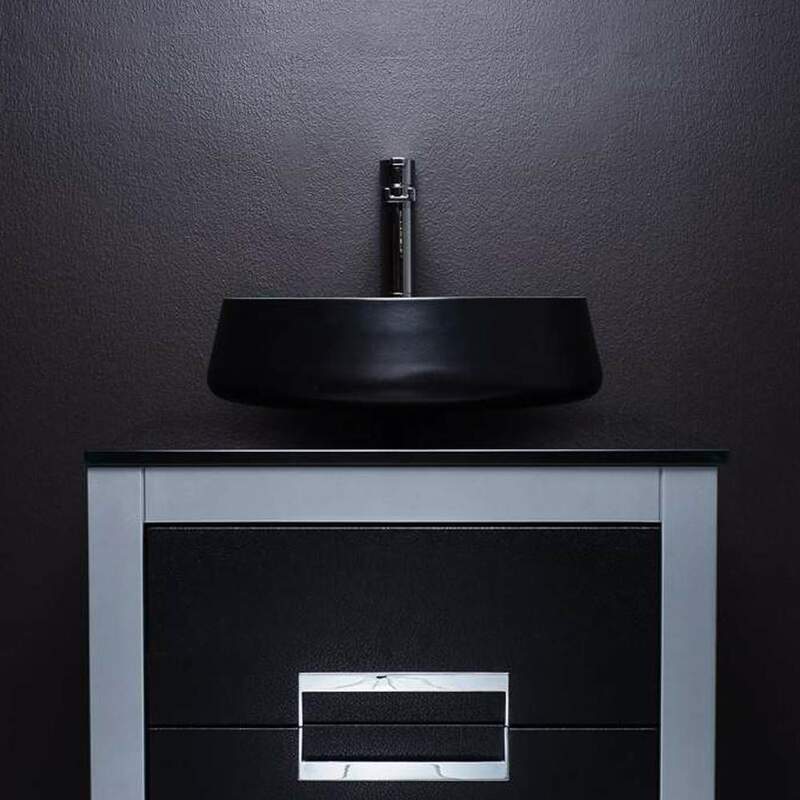 Alumix is an aluminum alloy which makes up this entire powder room sink making it durable and light weight. The dark finish is bold and beautiful while extremely easy to maintain and tough against everyday sources of scratch and damage. Perfectly round shape along with gentle curves and a luxurious finish make this Italian form of art a great addition to your design space. 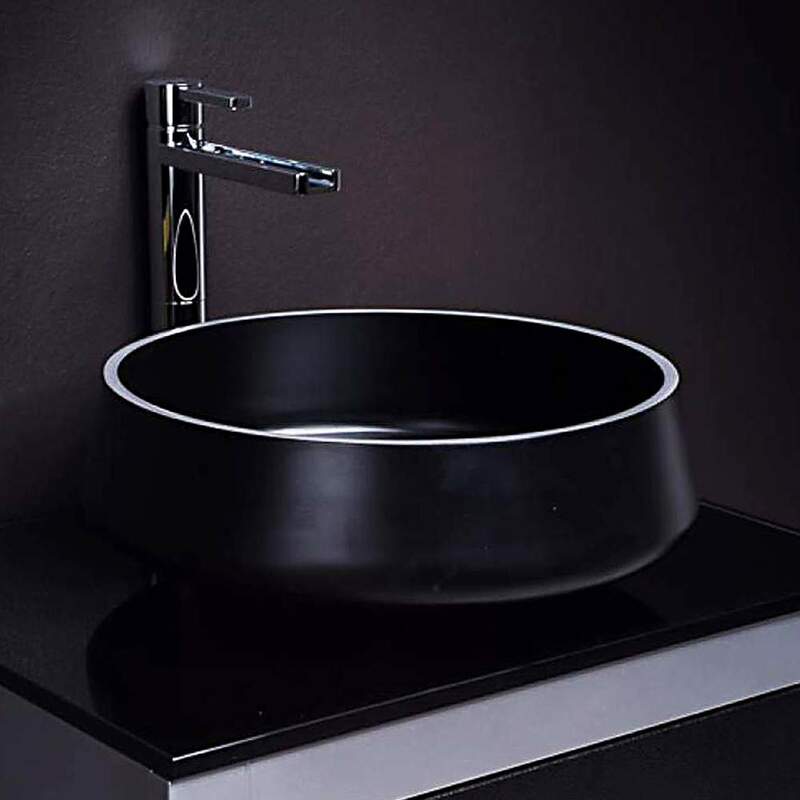 This ultra modern round black polish designer vessel sink employs a special brush technique in order to obtain a bi-chromatic effect. The board is also brushed and polished by hand to enhance the soul and color. 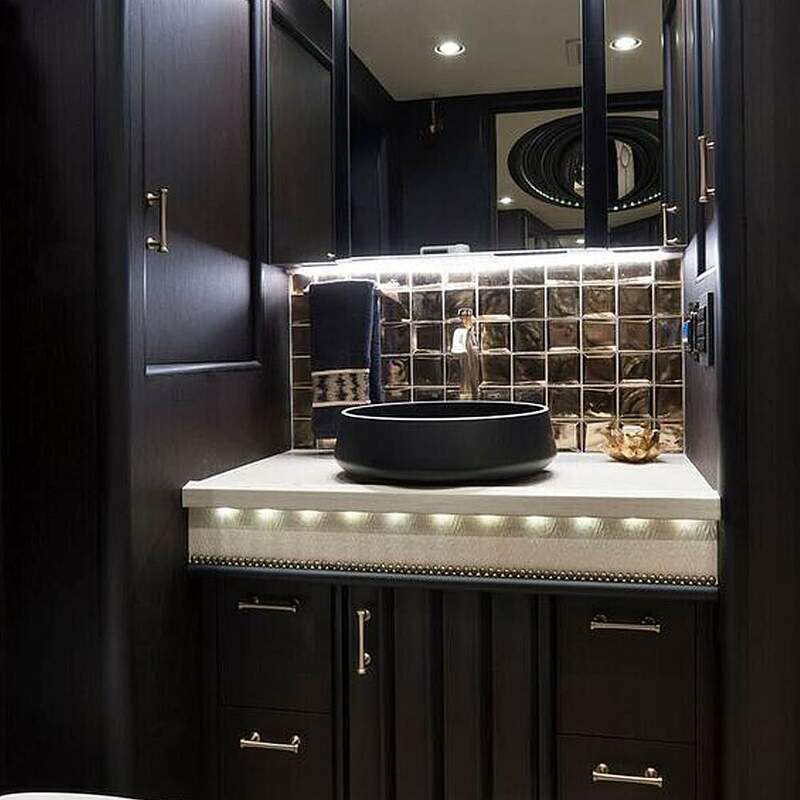 The round and clean design will look perfect sitting right on top of the bathroom vanity of your elegant powder room, and with light and dark colors to choose from, you will have to make no style compromises.